What a surprise, since I eat right, exercise regularly, and follow guidelines for good health. And what a way to start the New Year, not to mention my husband’s and my long-awaited roles as empty nesters. It was another reminder that life is often beyond our control, especially when it flirts with death. An extensive surgery followed on our nineteenth wedding anniversary (how romantic! ), and all went well thanks to answered prayers and a skilled surgeon. Hearing the words, We got it all! Was the best anniversary gift ever received! So today I’m cancer free – at least for now – and like anyone who goes through a traumatic experience, I have learned a lot. Some good, some bad, and some related to family and friends who meant well, but were uncertain or inexperienced about how best to respond. The following tidbits of wisdom were gleaned during my family’s personal journey. Perhaps they’ll ease the experience for you or a loved one if ever faced with a similar situation. 1. When someone is battling a life-threatening disease, avoid sharing medical horror stories, as well as guesses about the potential cause. Sorry to hear that your great-aunt died during a similar surgery, but must we discuss that now? Truly, if you don’t know what to say, it’s okay to keep the conversation brief. Tell a light-hearted story, provide updates about friends and co-workers, or just share a hug. And please don’t ask too many questions or offer unsolicited advice about the probable cause. Believe it or not, well meaning people constantly bombarded me with questions: Do you smoke? What kind of cleaners do you use? Do you eat organic? No need for a guilt trip that may not apply. In my case, I probably was just one in eight women in America who will be diagnosed with breast cancer during their lifetime. Cancer is not a one-size-fits-all disease. There are many variables, many stages, many treatments. So there’s no need to worry about chemo until it’s determined whether I need it (which thankfully I didn’t); unnecessary to contemplate death rates till I know which stage cancer I have (luckily mine was caught early at stage one); and unpleasant to discuss the genetic possibilities related to my daughters (don’t you realize we’ve already pondered that?). Please, let’s wait for a confirmed diagnosis, plan of treatment, and educated prognosis. Then we can strategically explore the world of information, starting with medically approved websites. 3. Don’t expect the patient – or busy caregiver – to call back with health updates. Even if you have left a message (or two! ), our time is stretched, our bodies tired, our minds overwhelmed. Remember: We are just trying to survive. Instead of waiting by the phone, please read the patient’s blog, watch for emailed updates, or contact another family member. Your phone messages are indeed welcomed – as are your thoughts and prayers – but a return call may not be possible. Please don’t be offended or remind us later that we were negligent in keeping in touch. Truly, we did our best! 4. Meals are greatly appreciated, but not all at once. Everyone rushes to provide dinners upon hearing your bad news. Though each is a generous gift, the most appreciated meals may be those sent weeks later as treatment and healing continue. Delivery of breakfast or lunch also is a treat, just as long as it’s not brought in containers that must be returned. 5. Send cards and notes throughout treatment. Every card is treasured, especially those received late in the game. Recovery takes time, so like the meals, it’s okay to wait to send your well wishes. I kept all my cards and printed emails in a gift bag by my bed so I could read them when I needed encouragement (like in the middle of the night or when everyone else was at work). What I called the bag of love accompanied me to important medical appointments and hospital stays as a visual reminder of all those who cared. Let’s be honest: Sometimes a serious illness is harder on the spouse and children than the patient. I had something specific to do – get well and stay well – while they had to multi-task nursing with maintaining The household, working, and worrying about what we all should/shouldn’t do to ensure my recovery. My dear husband will never forget the friends – especially other men – who made the effort to inquire how he was doing. Their listening ear and words of encouragement were priceless. 7. Let the patient rest. I asked that no one visit me in the hospital, except my pastor. I was in significant pain, strung out on morphine that caused hives, and looked like, well no need to elaborate! Let’s just say that I needed rest. Later when recovering at home, I welcomed visits, especially from those who considerately called in advance. 8. Recognize that with cancer, it’s never over. Every year my routine mammogram is unsettling, especially following two close calls on the opposite side. Please don’t brush off my concerns as unnecessary. I’m a survivor, not superwoman. My apprehension is natural, grounded on the reality that I’ve had CANCER. So thanks in advance for understanding and patiently sharing the journey with me. If you seek other ways to demonstrate that you care, send a celebratory note acknowledging the person’s anniversary of survival. Support a breast cancer organization like Susan G. Komen with volunteer work, fundraisers or donations. 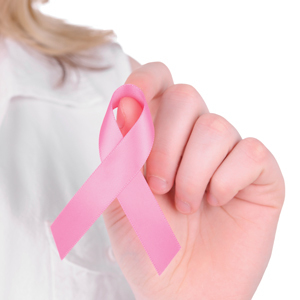 Wear a pink ribbon to recognize the ongoing battle against breast cancer (there can never be too much pink!). But most important of all: Make sure all the women in your life get timely mammograms.